PET scans of a healthy patient (left) and a patient with schizophrenia (right). 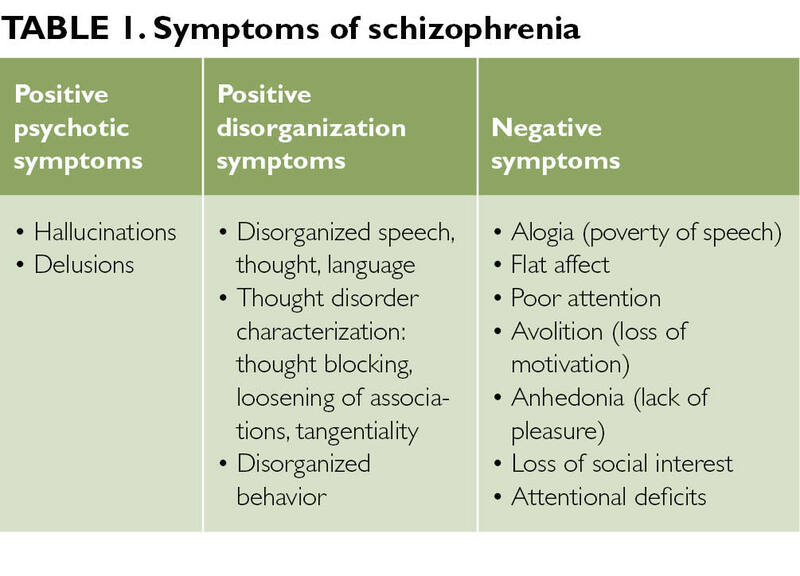 Schizophrenia is recognized as a chronic and disabling mental illness that has affected and continues to affect the lives of millions of people all over the world.1 Nonetheless, significant strides have been made to date in understanding and treating patients with this chronic disease. In addition, serotonergic, nicotinic, and N-methyl-D-aspartate (NMDA) receptors are involved and are the focus of the mechanism of action of newer antipsychotic medications. NMDA receptor dysfunction is thought to contribute to the condition, with NMDA receptor antagonists causing positive symptoms by increasing dopamine release in the limbic area and reducing dopamine release from the ventral tegmental area.